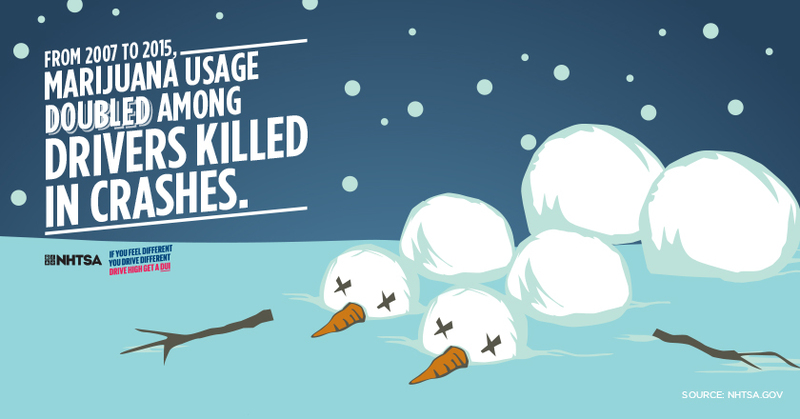 Don't be the reason someone doesn't get home for the holidays. 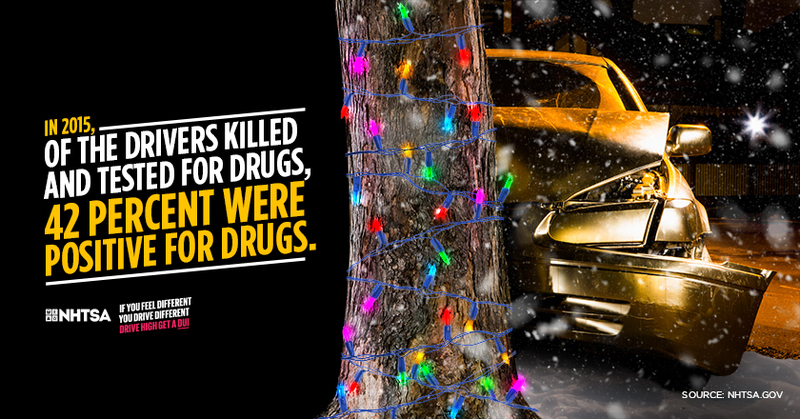 As we gather with friends and family for festive parties and holiday cheer, it's important to remember that drug-impaired driving is just as dangerous as drunk driving. Illegal drugs, prescription medication, and even some over-the-counter drugs can interfere with your brain's ability to properly function. 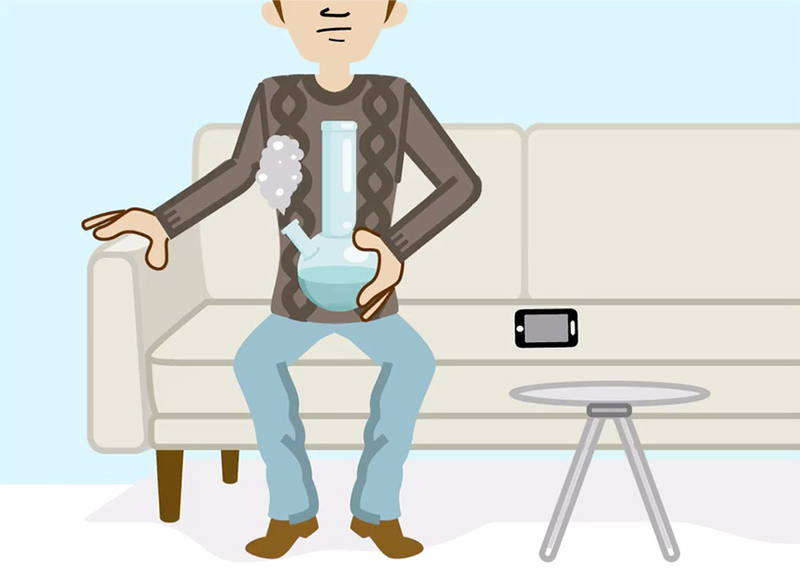 Drug use can negatively impact your motor coordination and reaction time—both critical aspects of safely operating a vehicle. It's illegal to drive while drug-impaired, and it puts you, your passengers and other road users at risk of serious injury or death. In 2015, 42 percent of the drivers killed in a fatal crash who were tested, tested positive for drugs. Remember, impairment is impairment. If You Feel Different, You Drive Different. 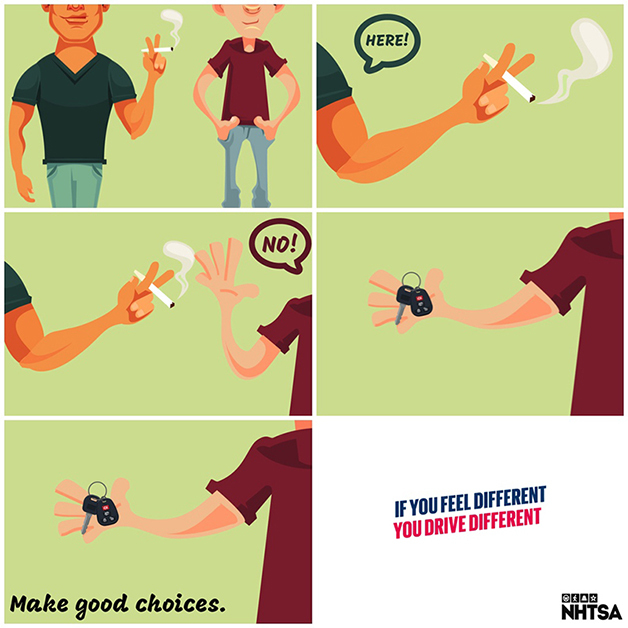 Take the Drug-Impaired Driving Pledge and ask your friends to join you in taking the pledge to not drive high. Alcohol consumption impairs your thinking, reasoning and muscle coordination—all vital abilities to operating a vehicle safely. At a .08 Blood Alcohol Concentration (BAC), your crash risk increases exponentially. Because of this risk, it's illegal in all 50 states, the District of Columbia and Puerto Rico to drive with a BAC of .08 or higher. But even a small amount of alcohol can affect driving ability. The end of the year holidays are some of the most dangerous times to be on the road. From 2013 to 2017, there were 4,110 people killed in December crashes that involved drivers with BACs over the legal limit of .08. Law enforcement in every state will be stepping up to protect us all from drunk drivers this holiday season. Two paths, one night. 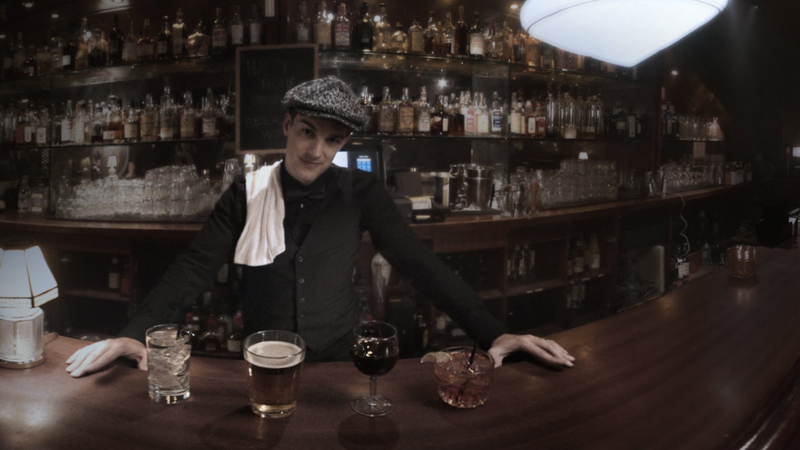 Enjoy a night with friends in the immersive Last Call 360 web experience. If you drink and drive, you could end up in steel handcuffs, lose your driver's license and lose your vehicle. A DUI arrest could cost you as much as $10,000 in attorney fees, fines, care towing, repairs, higher insurance rates, and lost time at work. If you kill someone while driving drunk, you could face manslaughter charges and serve time in jail. In 2016, approximately 1 in 6 children involved in drunk-driving crashes died. And 54% of the time, it was the child's own driver who was drunk. One decision took the life of Philip Lutzenkirchen. Mike Lutzenkirchen shares his son's tragic story and how the Lutzie 43 Foundation is honoring Philip's legacy. DUI is More Than Just Alcohol. In NHTSA's National Roadside Survey conducted in 2013-2014, 20 percent of drivers surveyed tested positive for potentially impairing drugs. Being responsible is easy—if you have been drinking or have taken mind-altering drugs, do not drive. Your life, and the lives of others are at risk if you do not have a responsible plan to get home safely from your holiday day party. Here are a few tips to help you have a safe and fun night of celebration. Use NHTSA's SafeRide app to call a taxi or a friend. The app is available on Google Play for Android devices and Apple devices on the iTunes store. If you see a drunk driver on the road, call law enforcement immediately. Always wear your seat belt. It's the best defense against drunk drivers. 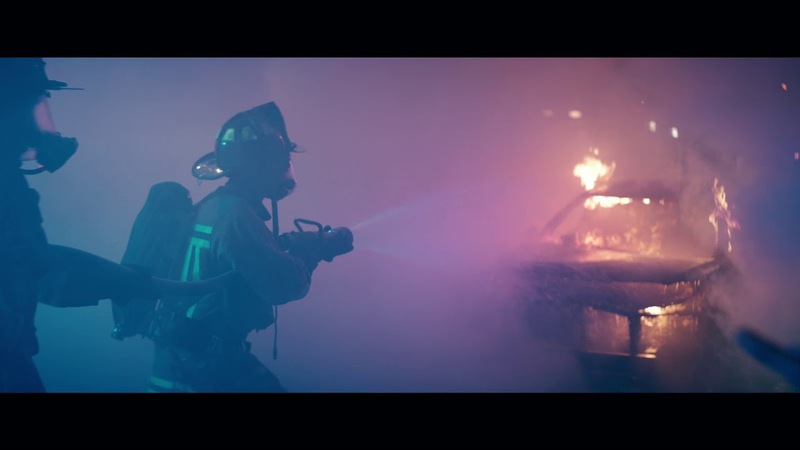 NHTSA offers materials for numerous traffic safety campaigns, including drunk driving. These marketing tools provide easy ways to get involved with campaigns.